Regal China produced this "Trophy Bottle" in 1971 for the James B. Beam Distilling Company. 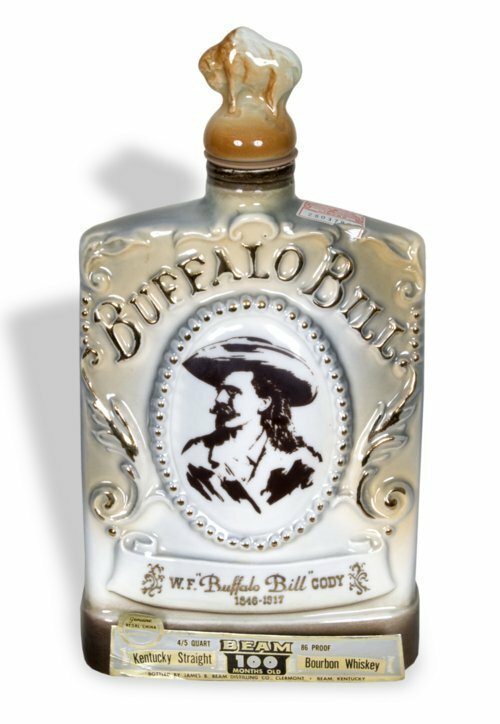 Designed for the 125th anniversary of William Frederick "Buffalo Bill" Cody's birth, it was filled with a fifth of 100-month old Beam bourbon whiskey. Some commemorative bottles were personalized and given to Cody descendents present at the August 11-14, 1971 celebration at Cody's boyhood in Leavenworth, Kansas.